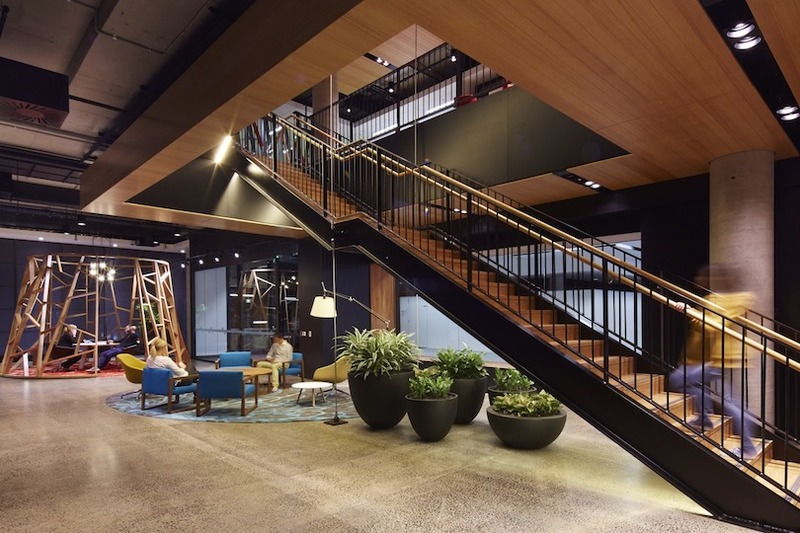 Companies these days seem to be focusing a lot of attention on making their working environment a happy and comfortable place, some companies have put a lot of time and effort into designing amazing office spaces for their staff to work in. We have put together a small list of some of the most incredible office designs. So it’s no secret that Google is a fresh company that has a dedicated team of employees, most of the Google offices are decorated to a very unusual style. 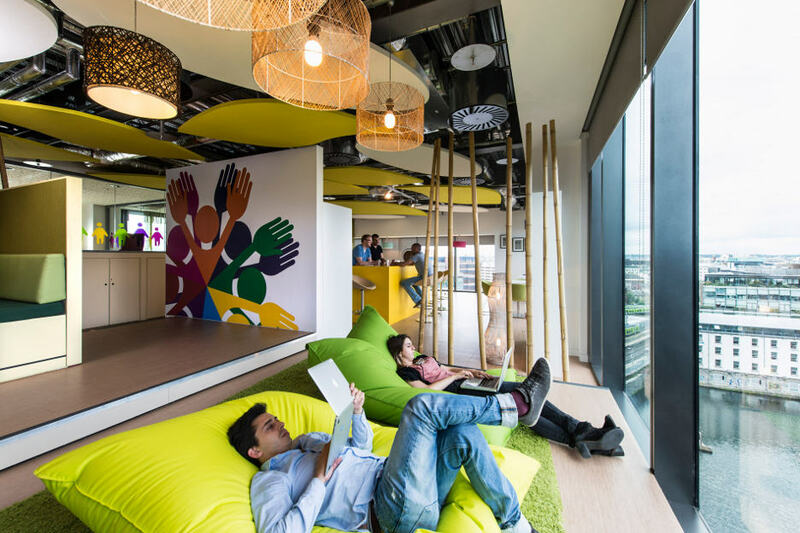 Google put a lot of time and money into making their work environments suitable for business and pleasure, the main reason for this is so employees take the time to relax and feel comfortable at work. Google thrives off creativity and that idea has particularly gone into the thinking behind the plans of their workplaces, giving each worker a space for them to be imaginative. There is a rule at Google that food cannot be less than 100 meters away from any employee, so there’s kitchens all over the place. And to top it all. every employee is fed three times a day for free. Facebook conducted many polls online about how they should design some of their offices, the result turned out to be a great working environment with big open spaces and also amazing relaxation spaces with places to skate and DJ. 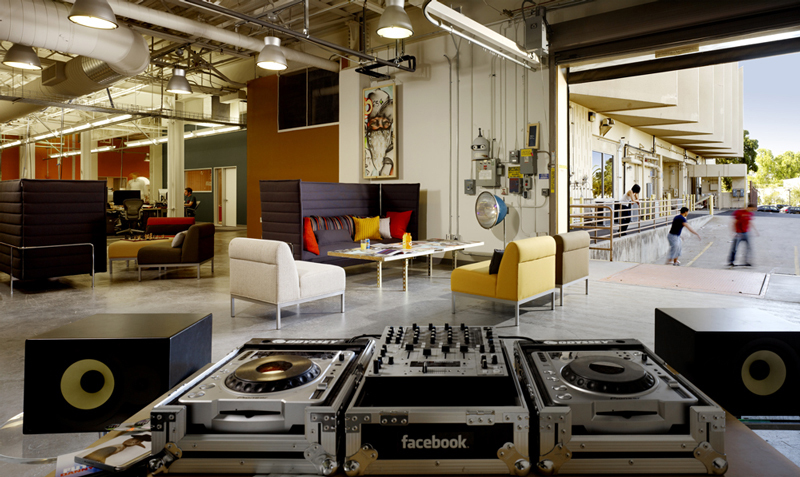 Facebook have built their offices up to be modern and comfortable, this means that Facebook is one of the best places to work, play and even DJ. Dtac decided to bring all six oftheir buildings together rather than having them scattered over Bangkok. This move was part of Thailand’s biggest office lease with around 650,000 square feet. The move was put into place to bring all of their employees together to have a better source of communication and creativity. Dtac likes their employees to learn and play, so one of the 22 floors in the office is focused on fun, with a running track, an indoor football pitch, table tennis and performance spaces. As if that wasn’t enough, there’s also the Conversation Pit. The Red Bull London offic e is a converted building of five old pubs that is situated in Soho. Because none of the pubs were originally linked together or even had floors on the same height, this is certainly one very interesting building. 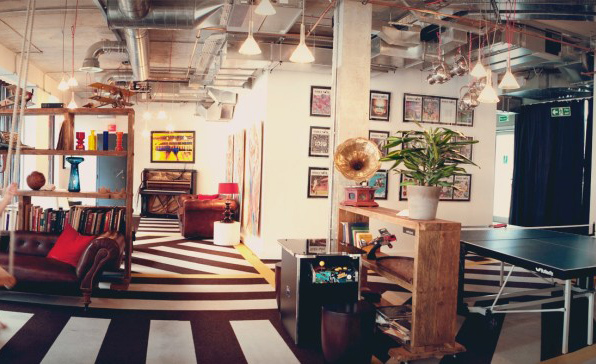 The office holds around 100 employees mostly all in their 20s, so Red Bull have created a very young and funky styled office space. The building has a lounge like feel with many of the old features of the buildings showing, at night the reception area falls back into its old roots and turns into a bar.